Is there an easy way using SPE to determine whether an item has been published? 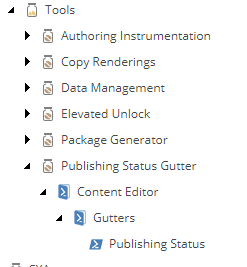 If you are interested seeing an example visible through the gutter, enable the Publishing Status Gutter module. Not the answer you're looking for? Browse other questions tagged powershell-extensions or ask your own question. How to check an item exists with powershell without raising an error? Is there any way to tell when an item revision was published using PowerShell Extensions? Negate the criteria filter in Sitecore Powershell Find-Item call?